A nationally respected commercial litigator recognized as a National Law Journal “Litigation Trailblazer,” the Hon. Richard Holwell has spent his career advocating and adjudicating high-stakes legal disputes, including during his nine years as a federal judge in the Southern District of New York. Before founding Holwell Shuster & Goldberg in 2012, he presided over two of the most significant securities fraud matters to reach trial in recent decades: the insider trading trial of Galleon Group founder Raj Rajaratnam, and a securities class action (In re Vivendi Universal, S.A. Securities Litigation) establishing significant law regarding the application of U.S. law to alleged securities fraud involving a foreign plaintiff. 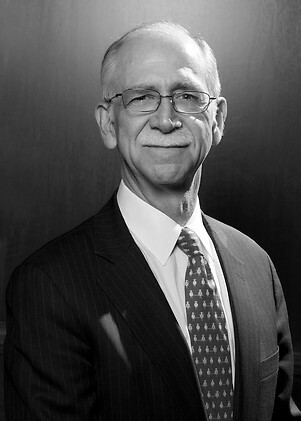 Judge Holwell represents, and has represented throughout his career, clients in complex commercial litigation matters involving securities, antitrust, and bankruptcy issues; in investigations undertaken by the U.S. Department of Justice, Securities and Exchange Commission, Federal Trade Commission, and other government agencies; and in his leading appellate practice. At HSG, clients have called on Judge Holwell for his advocacy skills, as well as his unquestioned judgment, in engagements ranging from his representation of Visa in antitrust litigation with the largest retailers in the United States to his appointment as independent monitor of a major financial institution under the terms of an agreement with the SEC. Judge Holwell also served as interim general counsel for the Port Authority in the aftermath of the “Bridgegate” scandal, and in 2012 was appointed to the three-member NFL appeals panel, along with retired federal Judge Fern Smith and Georgetown professor James Oldham. Judge Holwell’s many career appellate arguments include one resulting in a decision, still significant today, establishing important precedent on the extraterritorial application of U.S. securities laws and antitrust standing under the Clayton Act. At HSG, he secured a Second Circuit reversal of an order enforcing a $932 million arbitration award against one of the largest telecommunications companies in Turkey. Before his confirmation to the federal judiciary, Judge Holwell practiced with HSG co-founding partners Michael Shuster and Daniel Goldberg at White & Case, where he led the firm’s global dispute practice and served on the Management Board. There, Judge Holwell and Mike Shuster litigated more than 30 civil and criminal suits in the U.S. and abroad arising from the insolvency of Crédit Lyonnais, including a highly publicized fraudulent transfer action against Kirk Kerkorian relating to his sale of MGM Film Studios. In addition to representing clients in domestic and international arbitrations, Judge Holwell is frequently asked to act as either the chair or member of the panel in ICC, AAA, ICDR, and ad hoc arbitrations. He is a member of the New York State Bar Association, American Bar Association, and Federal Bar Council. Independent monitor appointed by a major financial institution under an agreement between the institution and the Securities and Exchange Commission. Republic of Uzbekistan in forfeiture proceedings brought by the Department of Justice in the Southern District of New York seeking the recovery of approximately $1 billion. Promontory Financial Group in connection with an investigation by the New York Department of Financial Services. Human rights and international law jurists as amici in the Second Circuit, in support of a historic trial judgment in favor of Chevron in a RICO and fraud action in the Southern District of New York. New York tech companies (including Tumblr, Kickstarter, Foursquare, Meetup, and Vimeo) as amici in the First Department and New York Court of Appeals in a closely watched appeal involving bulk search warrants to Facebook. Çukurova Holding, a Turkish industrial and commercial conglomerate, in post-judgment and appellate proceedings before the Southern District of New York and the Second Circuit, respectively, relating to the enforcement of a $932 million arbitral award against Çukurova. Crédit Lyonnais S.A. in the acquisition of control of MGM/UA and in securities fraud and breach of fiduciary duty claims against MGM/UA’s former owners, Kirk Kerkorian and Giancarlo Parretti. Crédit Lyonnais S.A. in criminal cases in the United States, France, and Italy and parallel proceedings before the Federal Reserve Board. USX in its acquisition of Marathon Oil and the subsequent trial to verdict of shareholder class action litigation. Newmont Mining in its defense of successive takeover attempts by T. Boone Pickens and the DeBeers family. Former governor of New York in a test of his constitutional power to supersede a sitting district attorney. State of New York in land claim litigation initiated by several tribes of the Iroquois Nation. MacMillan Bloedel Ltd. and Holly Sugar Corporation in criminal price-fixing cases and related private treble damage actions in, respectively, the paper and sugar industries. A major steel company and a major aluminum company in grand jury price-fixing investigations. Judge Holwell Quoted in Bloomberg Article, "Insider-Trading Crackdown Bolstered as Martoma's Appeal Rejected"
Judge Holwell Quoted in Bloomberg News Article, "Giuliani’s Talk With Erdogan Adds Mystery to U.S. Sanctions Case"